Purely for keeping track of the content I generate on the internet, I’m reproducing the contents of a photo submission to spaceweather.com taken at Darling Hill Observatory during our November 2009 Public Viewing Session (as announced at the Syracuse Astronomical Society website HERE). The original can be found at the Spaceweather Spotter page HERE. 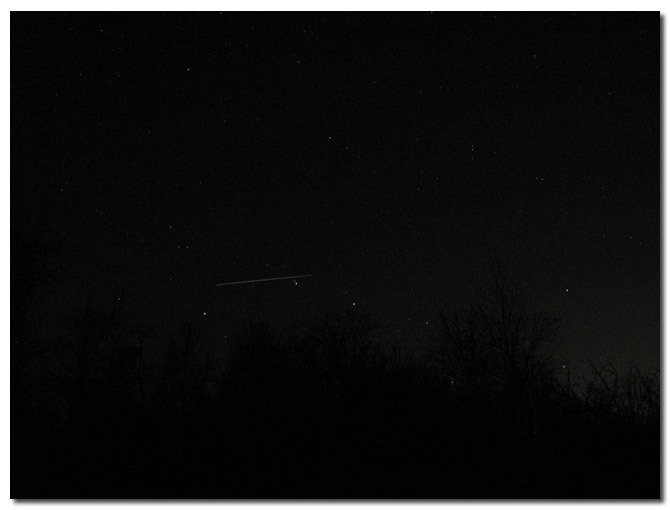 Details: The ISS made an early evening fly-by during the last official Public Viewing session for 2009 of the Syracuse Astronomical Society in Vesper, NY. 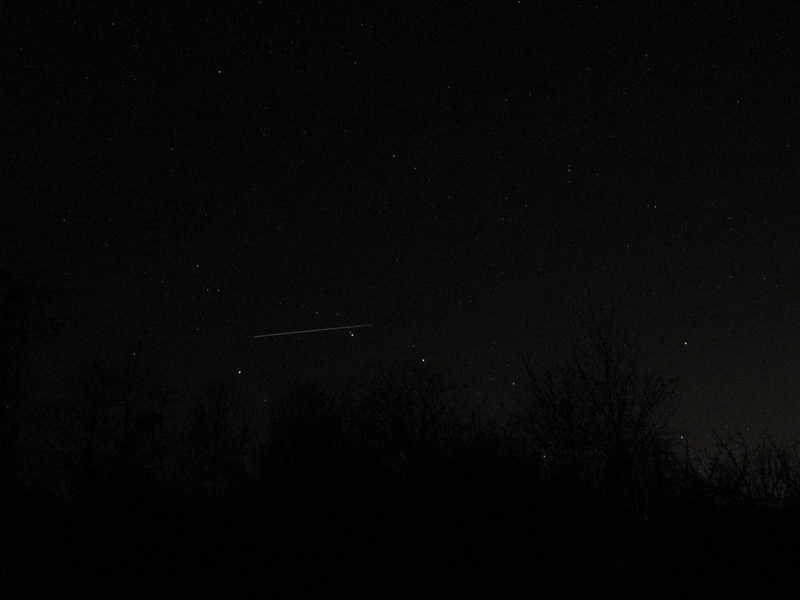 The 6:36 p.m. EST fly-by made it as far as Alcor and Mizar before passing into Earth’s shadow (the Big Dipper is just entering the tree line to our North). Details: Canon SD780 IS, 15″ exposure, 400 ISO. Click on the image above for a larger version. The original post can be found at spaceweather.com/submissions/…Damian-Allis-ISS_BigDipper_1258219906.jpg. A PDF’ed version of the page from the spaceweather.com site is stored locally for posterity HERE.